25 years of extensive experience in management of start-up companies and company's divisions, managed multi-disciplinary technology developments from inception to multi-million dollars sales, raised funds from private investors, VC's and grants. Holds MSc. Physics from the Hebrew University, Jerusalem Israel and graduated the leadership program for sustainability of the Heshle inst.. 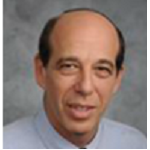 In addition Ofer is the owner of 9 registered patents and author of numerous papers and conference publications. 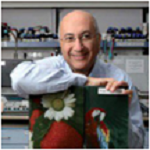 Prof. Magdassi is a professor of applied chemistry, he chaired the Casali Institute of Applied Chemistry and the center of Nanoscience at the Hebrew University of Jerusalem, Israel. He has over 150 scientific publications and about 50 inventions. Products based on his research are licensed and sold worldwide. Prof. Zabanis currently a Full Professor of Chemistry and Director of the Bar Ilan Institute for Nanotechnology and Advanced Materials. 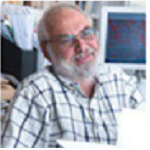 Prof. Barenholz is Professor of Biochemistry and the Daniel G. Miller Professor in Cancer Research. 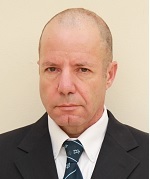 He is the head of the Laboratory of Membrane and Liposome Research at the Department of Biochemistry, the Hebrew University–Hadassah Medical School, Jerusalem, Israel. Mr. Kniajer serves as Managing Director at Rhodium, a private investment firm focused on early stage ventures in Israel and U.S. Mr. Kniajer possesses extensive operational and investment experience both in Israel and internationally. 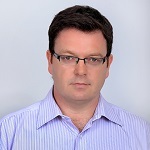 Prior to joining Rhodium, Yaron worked in London as an investment banker at Lehman Brothers’ Telecom & Media Group Before joining Lehman, Yaron was the CFO of Mediagate, an Israeli technology company, and a Manager at Ernst & Young. Yaron serves as a member or observer on the Board of Directors of several startups. Yaron holds an MBA from the London Business School (Distinction), and is a Certified Public Accountant. Prof. A. Blankstein, M.D. is a professor at the Department of Orthopedic surgery at the SHEBA MEDICAL CENTER and Affiliated to the TEL AVIV UNIVERSITY MEDICAL SCHOOL. Prof. Blankstein graduated for the Tel-Aviv university and specialized in the Canton Hospital, Basel, Switzerland and in the Orthopedic department at Sheba Medical Center, Tel Hashomer. 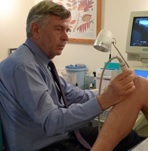 He is an expert in Ultrasound of The Musculoskeletal System.